I find it funny that the whale did that and whales are usually really smart animals. It may be embarrassing for the Governor but everyone else seems to find it hilarious. 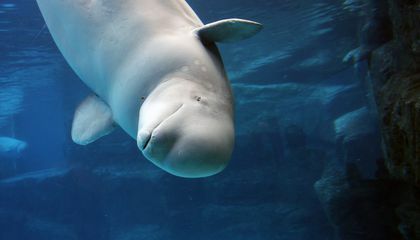 the beluga whale is so cute! and certainty got attention!he just wanted to spice up the governors speech lol. I agree they did make that speech a lot better and helped the governor big time!!!!!!!!! The Beluga Whale helped the governor and Connecticut because the whale gave the governor so much publicity that it helped his campaign greatly and it helped Connecticut because according to the article the "Attendance at nearly two dozen venues surveyed by the state us up 5 percent over last year." Opinion: I thought this article was really interesting and funny. It's so odd how one little appearance from an animal can affect something so greatly. I think this is just so adorable. I love when animals do funny things like this. It shows how social and intelligent they can be. 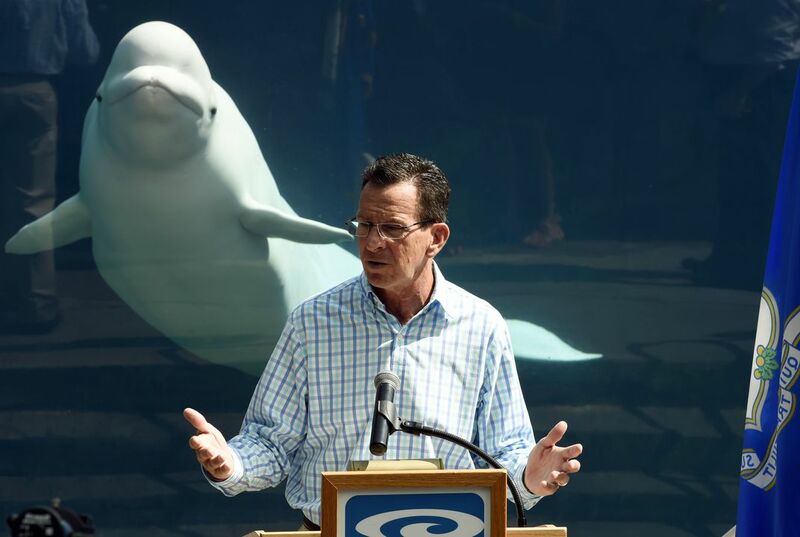 Juno the whale helped the governor of Connecticut by becoming an attraction, and this will draw people to the state, and especially to Mystic Aquarium. Therefore, tourism in the state will increase. However, I think that after a while the excitement will die down, and so will the number of tourists. This is such a funny story because it shows how animals really do enjoy the company of humans and they are just social, friendly beings. Animals like this never fail to amaze people and bring a smile to their faces. This "famous" whale has brought a smile to many peoples faces and it will bring many new people to the aquarium so they can see the whale for themselves. As the governor spoke about the increase of tourism to the aquarium I'm sure he will be happy with the even higher amount of people coming because of this friendly, social whale. the whale helped the governor and Connecticut because it got pictures and the everybody listened to there campaign got bigger and bigger so they reached there goal and made it to the top so the whale got its attention and did it perfectly it also made the governors speech way better. This beluga whale in particular help the Governor because the whale was a internet sensation and it brought action to the aquarium and raised the quality of that year up more the 5 percent.